The Shalom Institute is using their Gendler Grapevine grant to hire a fellow. 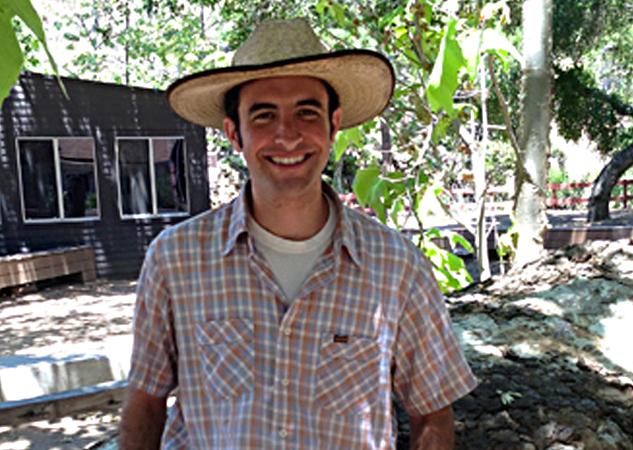 The Gendler Grapevine Fellow will join Camp JCA Shalom staff in the 2013 summer to educate and inspire Camp JCA Shalom campers and staff on sustainability best practices, environmental awareness, and the connections between Judaism and the environment. The Fellow’s responsibilities include teaching both campers and staff how to be Shomrei Adamah – keepers of the earth in all aspects of camp life, and will seek to strengthen and model the Jewish environmental concepts of Bal Taschit – not wasting, and Tzaar Ba’alei Hayyim – ethical treatment of animals, as well as other environmental values in all aspects of camp life, including dining hall practices, bunk programming, and specialty areas.